Security companies that display the GuardStar Academy Badge are demonstrating their commitment to training their officers above the minimum standards. As an independent training company, we establish standards that exceed the minimum State of Georgia requirements. Students participating in our programs are monitored and mentored by an independent State of Georgia Board of Private Detective and Security Agency certified instructor throughout their program. Not all of our students are successful in meeting our requirements. The company has subscribed to a code of professionalism above the others. GuardStar Academy provides training that exceeds the basic requirements. Our instructors are experienced in training, private investigations, and as seasoned security professionals. As an independent training provider we are not bound to "pass along" a candidate. The integrity of our program is paramount to our success. Companies that display our badge are not interested in short-cuts to training. They demand more from their officers than other companies. Our students receive training in customer service, report writing, Homeland Security, and many other topic areas critical to becoming an effective security officer. If you already employ a GuardStar Academy trained Security Officer, understand they did not get their training the easy way. Our program requires self motivation, great time management skills, and a dedication to the study of the profession. Learn all the skills you need to become a professional security officer in Georgia. 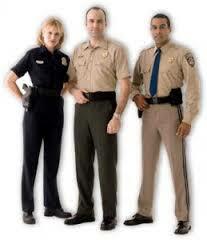 All of our courses meet the State of Georgia Board Private Detective & Security Agencies.